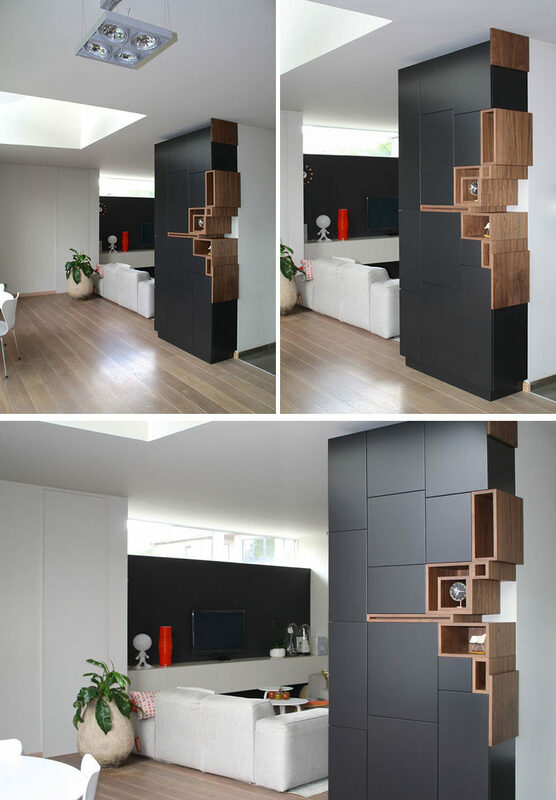 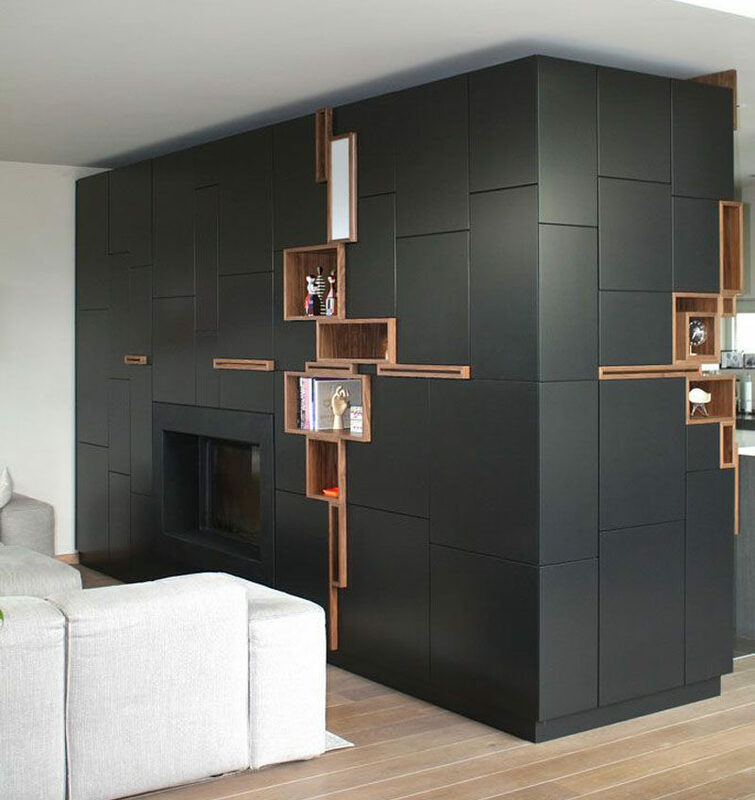 Belgium designer Filip Janssens creates custom furniture pieces tailored to the room it’s in, like this wrap-around cabinet in this home’s living room. 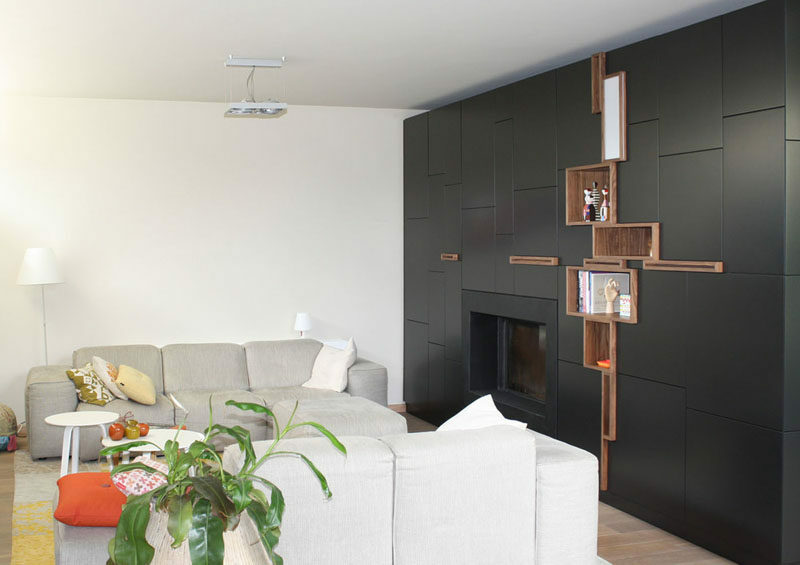 Designed to continue around the corner, the black cabinet wall also surrounds the fireplace. 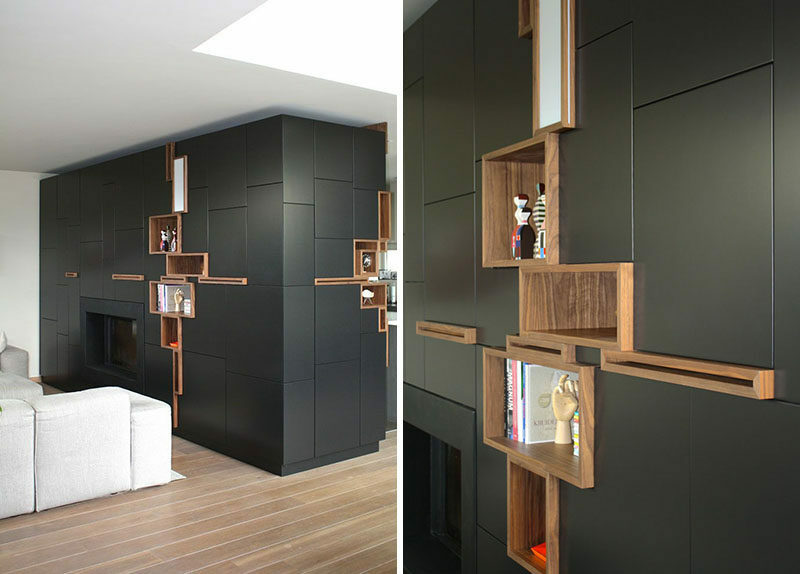 Some of the shelves are highlighted with wood surrounds and are left open for displaying personal items.